The Gold Night Drops is an anti-aging night serum which smoothes and repairs skin during sleep. Vitamin A (encapsulated retinol) helps to reduce the depth of wrinkles. Bifida lysate strengthens the skin's immune system. Vitamin C brightens tone and restores elasticity. Like all gold range products, Gold Night Drops contains anti-inflammatory gold. This is a must have for mature skin! This lifts and brightens my skin after a period of continuous application. Cannot recommend this enough! 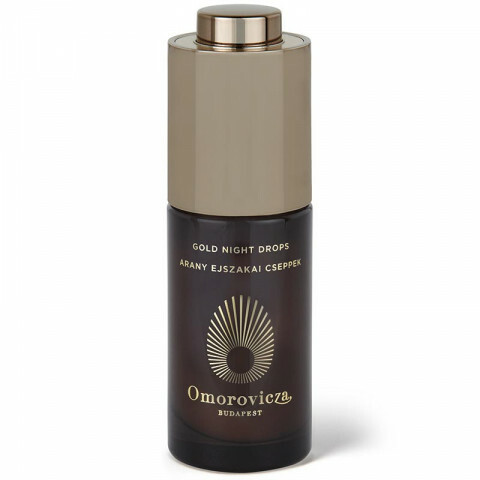 these gold drops help firm, smooth, and repair the skin. great results after one week! excellent product for mature skin types. got this for my mom and her skin looks amazing. I didn't want to believe the gold ingredient hype but Omorovicza really took the ingredient to a whole new level. It's brightening, moisturizing, and helps lighten any PIH I had. Highly recommend!